This is seriously the perfect morning iced coffee! It is quick, simple, and tastes great. 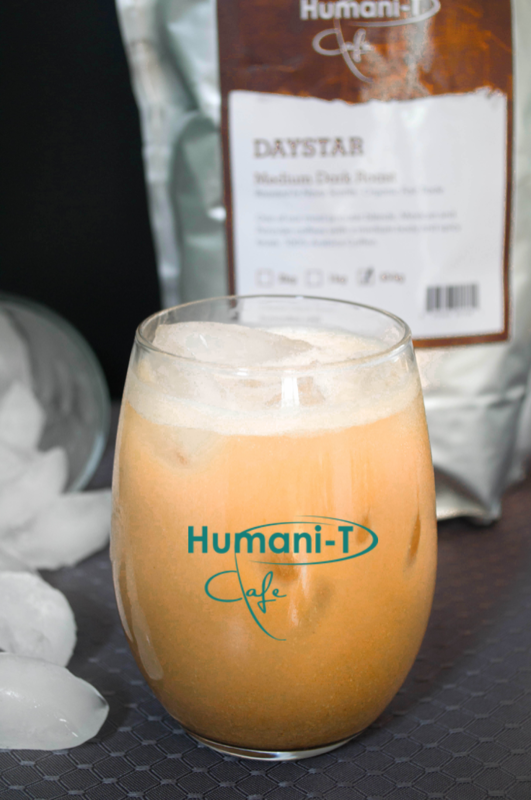 Why not save some money for lunch and make this iced coffee in the convenience of your home. Brew Humani-T Fair Trade ground cof according to instructions, and pour into a heat resistant glass mug. Add sugar, vanilla, milk or cream, and stir. Refrigerate overnight, and in the morning add ice and enjoy.